A couple weeks back I felt like I was getting all the things done super early for Christmas. Then the calendar hit December today and I was like, "Wait a second. What happened?" I have a bazillion things to do still to get the house ready for Christmas. Not to mention gifts to buy and cookies to bake. Perhaps beginning a diy foyer renovation in late October wasn't the wisest idea. 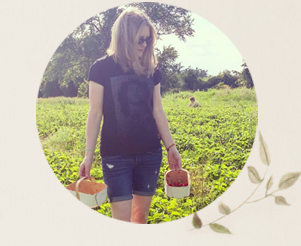 (My husband has been toiling away on the trim in the evenings and on weekends.) But the refreshed foyer is sure going to make a serene and lovely backdrop for our Christmas decor! In the meantime, I was able to whip together this Christmas wreath for our freshly painted front door yesterday. I picked out all of the materials for my Christmas door wreath on Afloral.com. Afloral has the most incredible faux florals and greenery. They look real but they will last for years to come, giving you great value for your money and saving you time when decorating in future. I got all of these items from Afloral.com, except the scissors and the twist tie. 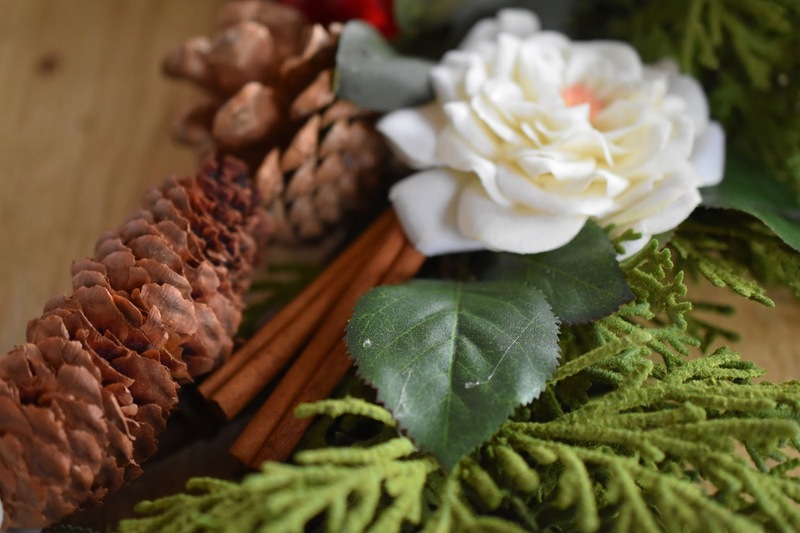 Check out all of the other great possibilities in Afloral's holiday flower collection. Because the cedar and pine cone wreath is already lovely on its own, it was a simple process to decorate my Christmas wreath. Use the wire cutters to cut the stems off the white roses. 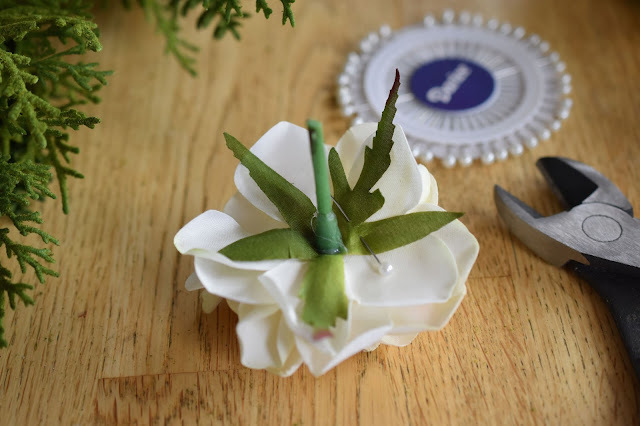 Stick one of the pearl headed pins through a leaf under the bloom and pin the rose to the wreath's frame. 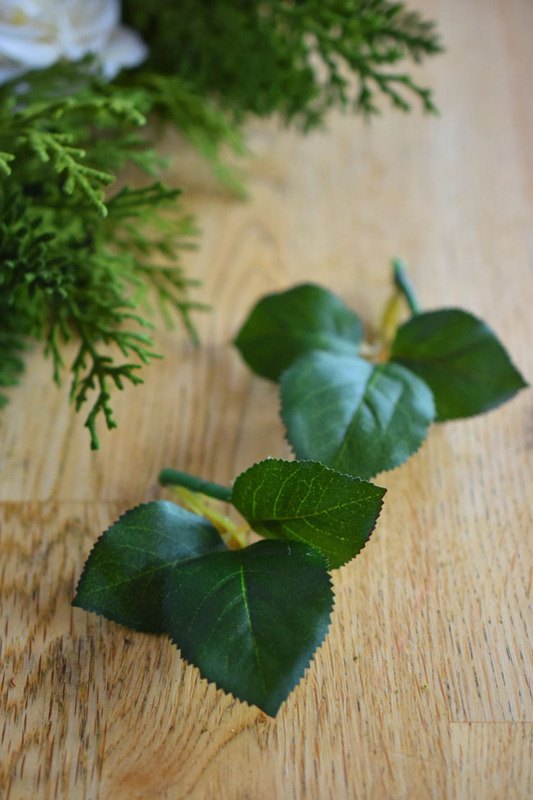 No need to waste the leaves from the roses. Pin those onto the wreath too! Time to make a bow! My newly decorated foyer is going to be black, white, grey and teal. 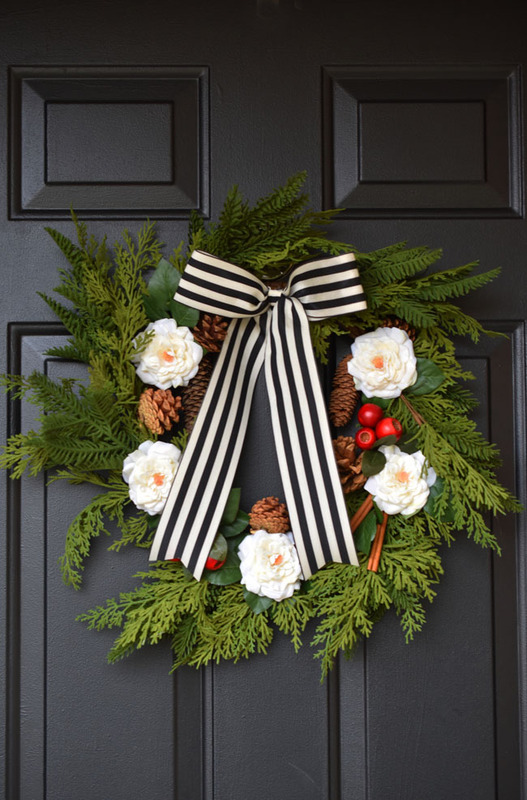 I thought this gorgeous black and cream ribbon would make the perfect bow for my wreath, accenting our black front door and transitioning to the colour scheme inside the door. If you need help tying the bow, I find it most helpful to look on YouTube. (I'm a visual learner!) Essentially you just need to fold a length of ribbon over itself two times in the middle, angling the last fold downward diagonally. 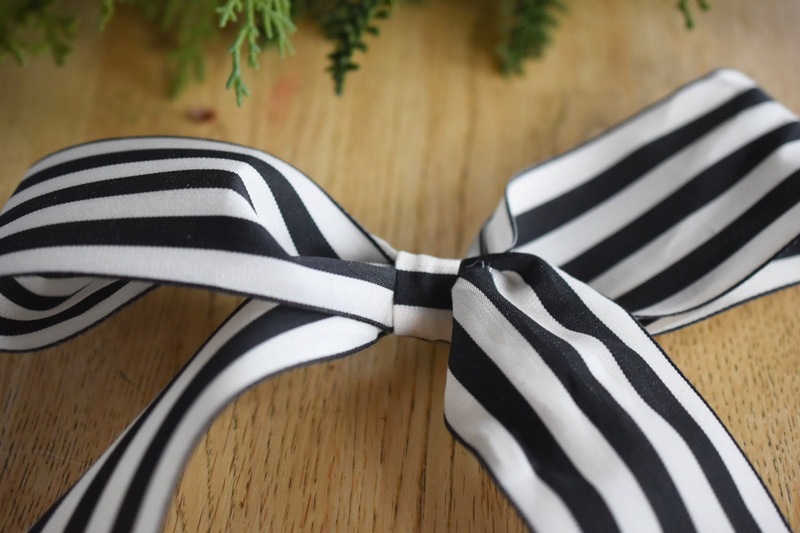 Then pinch your bow in the middle and fasten it together with wire or a twist tie (because you're going to cover it with fabric anyway). 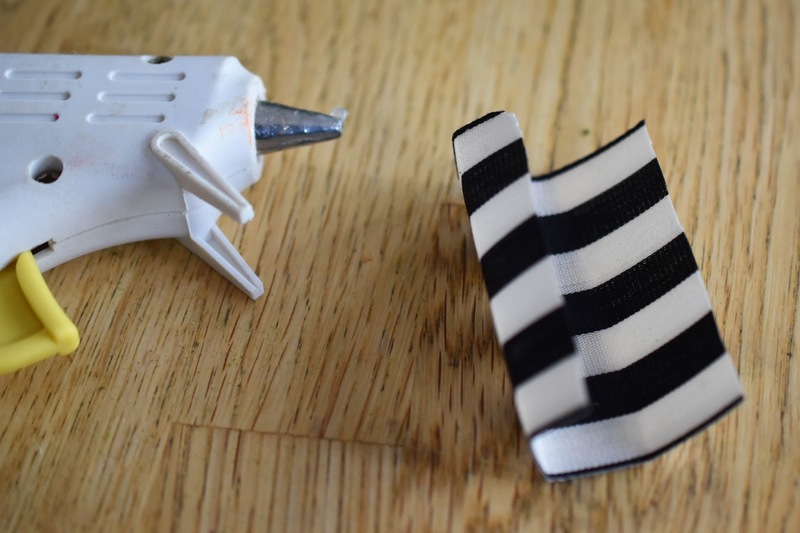 Take a small cut from the ribbon and fold it into a strip, gluing as you fold. Wrap it around the middle of the bow and hot glue it in place. Trim the ends of the bow into V shapes. I made a tactical error when crafting my wreath - I arranged the additions to the wreath in such a way as to leave space for a bow at the top. Once I had the bow made and glued in place on my wreath, it was time to hang my wreath on the door. 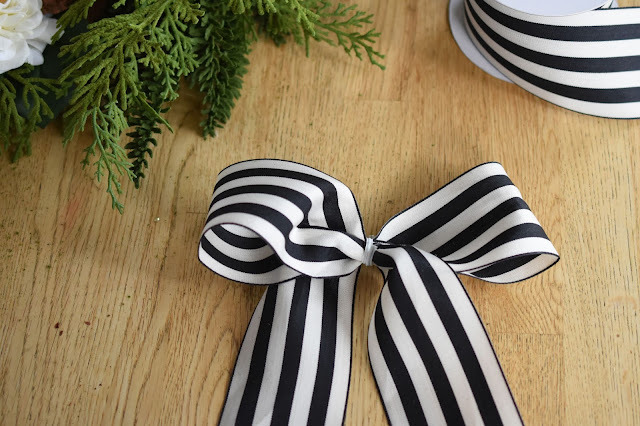 I got my trusty reindeer wreath hanger from a Christmas storage box in the basement and remembered that the big hook that holds the wreath covers the centre of the wreath, and thus covers my pretty black and white bow! Off to Canadian Tire I went to find a solution. Here is my finished wreath, which represents one good step towards getting my Christmas decor done! 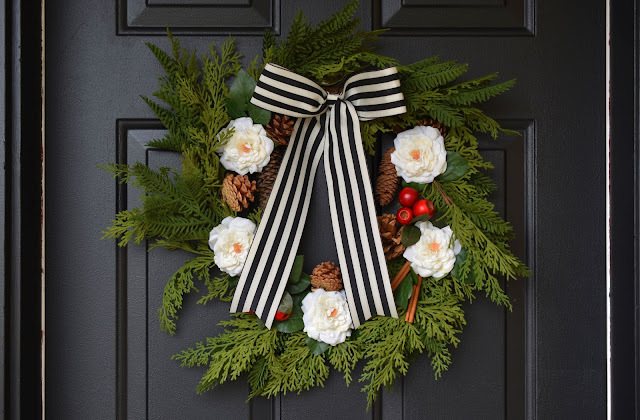 I love the look of the fresh white roses and the black and white ribbon bow against the faux cedar greens and pine cones. 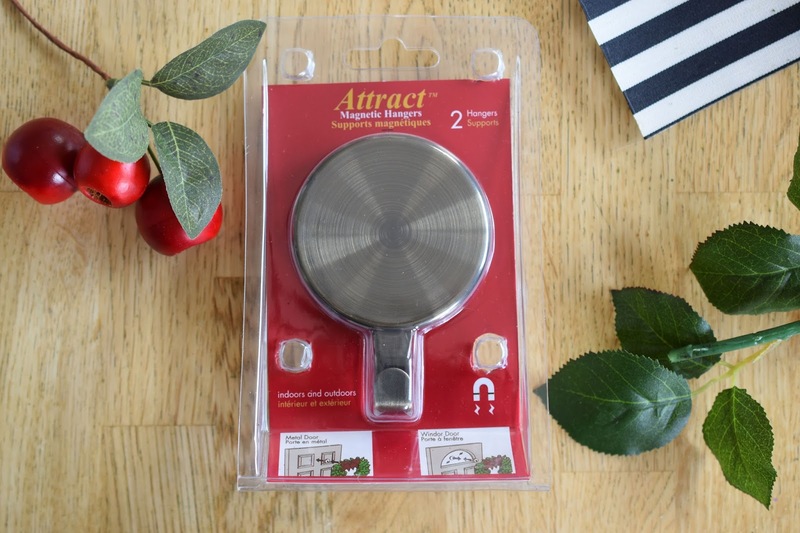 It has a natural look while being durable and reusable. I like the pop of colour the wreath provides on our black front door. 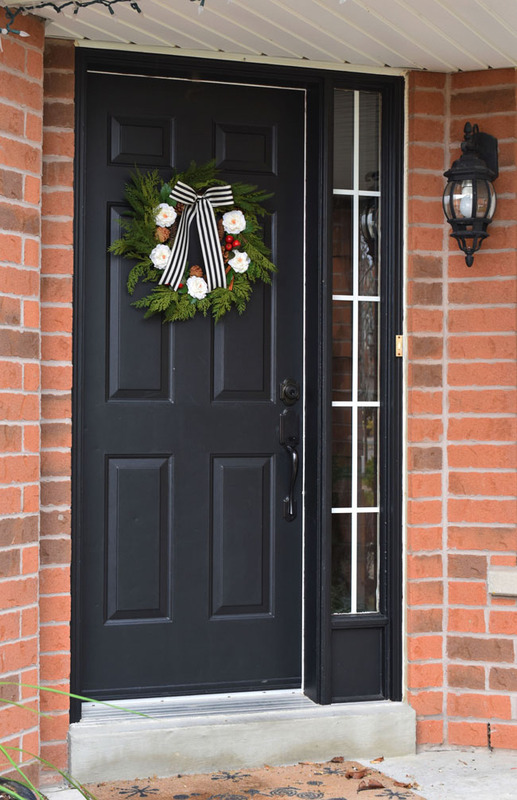 We recently gave the door a quick update with Fusion Mineral Paint in Coal Black. It's such a lovely paint to use - it's zero VOC (no nasty odour), durable and it covers beautifully. We're thinking of getting a new door next year, however at about $20 a jar, this gorgeous paint offers a striking, easy and inexpensive upgrade for the time being. We also used Fusion's high quality paint brushes to paint the door. I asked Jennylyn from Fusion for a synthetic brush (vegan friendly) and she came through for us! To be quite honest, my husband painted the door. 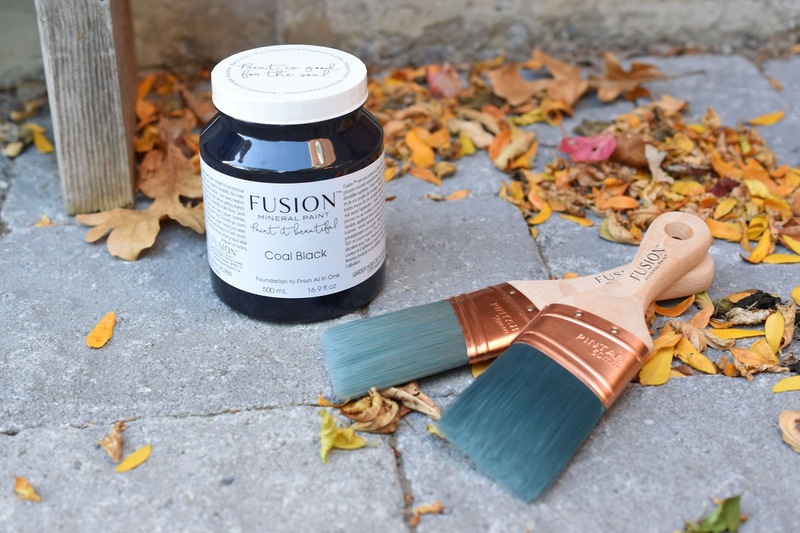 (I have personally used Fusion Mineral Paint for several other projects and love it.) He said the brushes provide smooth application and hold paint nicely. 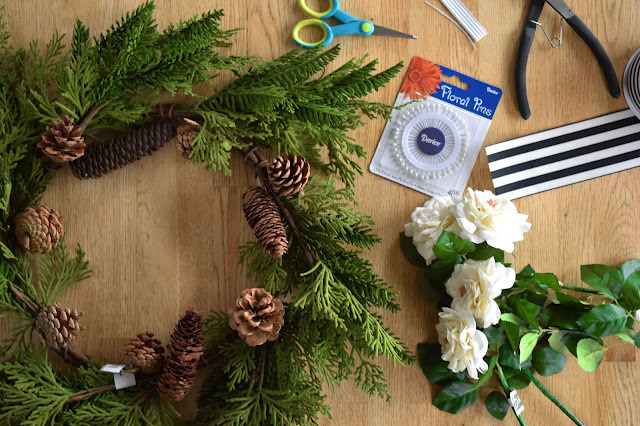 This Christmas wreath is a little bit diy and a whole lot easy. 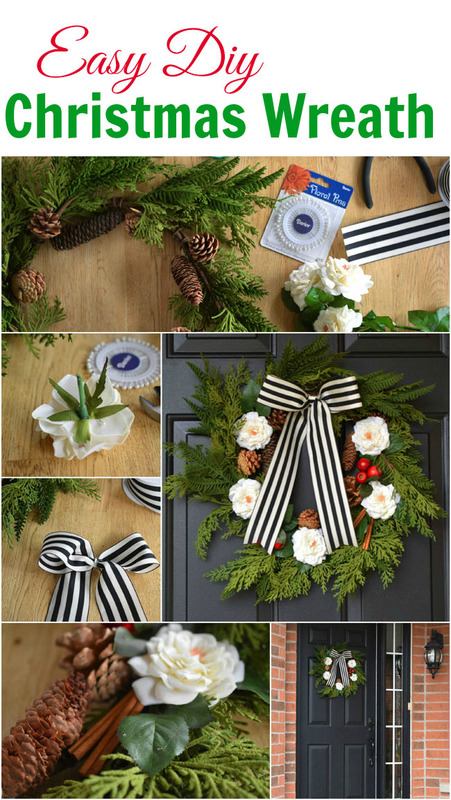 You can make a wreath just like this one in under an hour. And then move onto the next thing - like making this vegan candy cane fudge. You need to leave time for that. How much preparation have you done for Christmas? 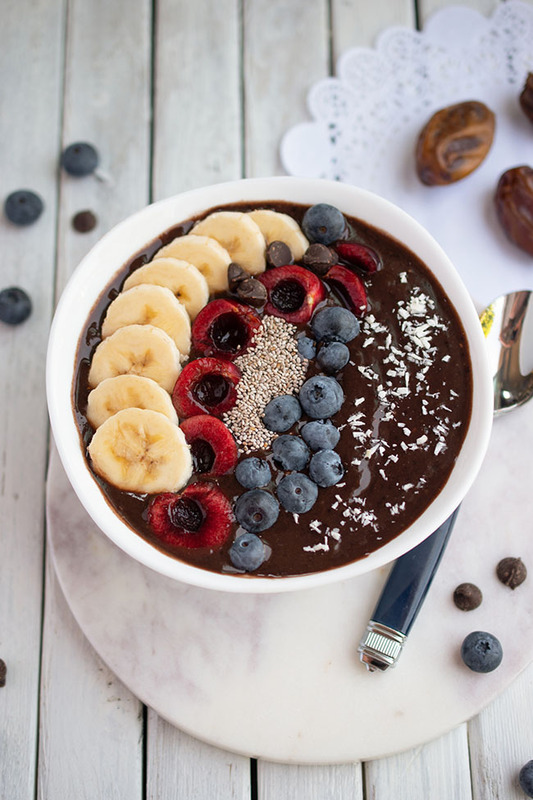 Do you usually start way ahead or leave things until the last minute? *Thank you to Afloral.com for providing the materials for my Christmas wreath and to Fusion Mineral Paint for providing paint and brushes for our door. All opinions are authentic and my own. Thanks so much. The paint really did make a HUGE difference! This wreath is so beautiful! The colour of the door and the wreath work great together. Love it.